With advanced age, I had become more concerned about driving at night and started to notice “halos” on headlights and road-side lights. Dr. Bruening diagnosed my cataracts some time ago and stated that the halos and some of my other vision complaints were indicators of the growing cataracts. Three of my family members had successful cataract surgery and urged me to stop stalling. I was pleasantly surprised by the clarity, especially of colors; after Dr. Brumm operated on my left eye. The whole process went so well that I’m now looking forward to having the same positive result on my right eye. Thank you all for your professional and caring treatment. When cataracts developed quickly in both eyes, I discussed with Dr. Brumm which IOL Lens would provide the best result for me. I had my second Cataract surgery on Thursday using the Toric IOL and find the results truly amazing. My surgery took about 30 minutes and I did not feel anything. I felt so good and was very glad I did the surgery. Having worn glasses for more than four decades you cannot believe the sheer wonder of seeing clearly whenever I open my eyes. Dr. Brumm and all of the physicians and staff at Brumm Eye & Laser genuinely care about each individual patient. They have been truly helpful in meeting my needs and answering any questions throughout the entire process. 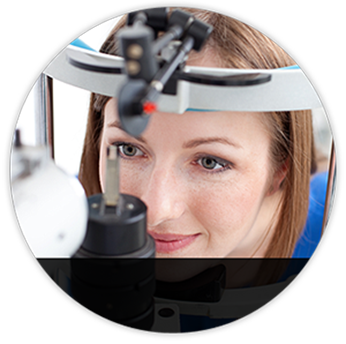 If you're unsure of cataract surgery , please go to the Brumm Eye Center and have a consultation. It's painless. The information you get will be the best you've ever gotten. And you will love the staff and the confidentiality that is given. Thank you Dr. Brumm and all the Staff at your office and procedure center. You have made me one very very happy women. In March I had surgery I.O.L. in my left eye and April in my right eye I am amazed at the change in my eyesight. I expected good results. But it is far above my expectations. I just renewed my drivers license less than a month after surgery , no glasses needed and I am 70 years old.This has eliminated expensive uncomfortable glasses.If you are thinking about having this surgery I would say do it; it has made a wonderful difference for me and it can for you too. What a pleasure it has been to see in the distance better and with more crispness than I can ever remember! Colors seem more vivid and it's like I can see every leaf on a tree now when I look across my yard. I have been very impressed with the professionalism of the Brumm Eye & Laser staff, and have already referred you to my sister if she decides to have a consultation done for laser surgery. For the last 23 years I have been in either glasses or contacts with a fairly significant correction. Throughout the last 5 years I have had many friends and colleagues who have had corrective eye surgery and have raved about the process and not having to be tied to their glasses or contact. After much research I decided to make an appointment with Dr. Brumm to see if I would be a good fit for corrective surgery. During the initial consultation and leading up to the procedure Dr. Brumm's staff was very helpful and let me know what I could expect during and after the procedure. The procedure itself was a quick and painless. The very next morning I was seeing 20/20 and after just one week my eyes had further improved to the point where I am now seeing 20/15. I couldn't be more pleased with my results and am glad that I put my sight in the very capable hands of Dr. Brumm and his friendly staff. A big thank you to all of the employees at Brumm Eye & Laser Vision that made the whole process pain and worry free. My vision is awesome and my eyes are getting better every day, the only issues I am having is dryness and blurred lights at night but I am still less than 3 weeks out. The other day I was driving down 204th street and I could see trees on the horizon 5+ miles away, it was amazing. I would do it again in a second. The surgery itself was uncomfortable but the next day I was already feeling much better and could see great. I am so excited to wake up and be able to see my clock in the middle of the night or in the morning. I have been more than satisfied with my LASIK surgery. Dr. Brumm and his staff were great. They answered all my questions and put me at ease. The follow up care was terrific and I would highly recommend Dr. Brumm to anyone considering vision correction. It has been over 5 months since my surgery and I could not be more happy. My eyes are 20-20. Focus is crisp and I see better now than any eyeglasses I have ever had. I was worried at first that night vision would be an issue. I would recommend the service Brumm rendered to anyone, anywhere, anytime. In fact, my wife intends to make this happen early next year. We recently took a trip to Alaska and the other parts of the Pacific Northwest and I was pointing out scenic wonders that she needed binoculars for. I give custom wavefront interlase an A+++++!!! No one should go without this in my opinion. I was very impressed with my experience at Brumm Eye and Laser Vision. I shopped around quite a bit before deciding where to have my Lasik procedure. I felt very comfortable with the doctors and the staff, to the point that I wasn't ever nervous about the procedure. I felt confident in their abilities. It was so quick and they kept telling me EXACTLY what was going to happen next. I was extremely impressed, and I would recommend them to EVERYONE. I now have 20/10 vision, and I love it! I love falling asleep watching TV, playing with my son (and not my glasses), feeling the wind in my face, wearing sun glasses, waking up and seeing what time it is...so many benefits. I can't wait for Summer so I can go to the swimming pool and see at the same time. My advice is to get it done, and get it done at Brumm! My experience with Lasik was excellent! I felt that the staff did a wonderful job preparing me for what the procedure and recovery was going to be like. I even did this three weeks before my wedding! I think the most comforting part of this experience was during the surgery when Dr. Brumm and the staff members called me by name and told me each step of what was happening to decrease any worries or anxieties I may be having. They would even give me a countdown of how long something was going to take so that I knew exactly what was going on at each second! I would highly recommend Dr. Brumm and his excellent staff to any patient! When I began considering LASIK, I first called several providers in the Omaha area and got scheduled for exams and consultations as part of my interview/decision/selection process. Right away, I was surprised at the vast differences between these establishments. These differences ranged from what I would consider minor, inconsequential differences to major, possibly sight-threatening. Each doctor I visited performed a thorough examination to include wavefront mapping. A doctor at Brumm Eye and Laser recommended Intralase as the best choice in order to overcome the thin corneal issue that standard LASIK could not. It also allowed me to enjoy the quick healing and immediate eyesight correction that PRK could not. The entire staff was friendly and helpful--and most off all, no one tried to push me into a quick decision. On the day of my surgery, Dr. Brumm was very patient, again offering me chances to ask questions. He was also very informative during each step of the procedure; explaining what was next, why, and how it would feel. The night of my surgery, he called me at home to check on me and to, once again, ask any questions I might have. Without hesitation, I would recommend Brumm Eye and Laser Vision Center to anyone and everyone. I couldn’t have asked for a better experience from start to finish. Thanks to everyone on your staff! I know you have heard this before - but I wish I had not waited so long to have the surgery! It is awesome to wake up and see the alarm clock. It is a feeling of freedom to be able to leave the house without wearing glasses. And for the first time in numerous years - I do not have an eye restriction on my driver's license. That is cool.I would recommend your clinic to anyone interested in laser eye surgery. Everyone was friendly, courteous and professional. I had to have one eye readjusted after the first three months. I was impressed with Dr. Brumm's concern for my vision and willingness to adjust it. The thoroughness in your preparation before each procedure is very comforting. Having the nurse explain what is happening during the procedure gives you not only a feeling of comfort but of trust. For me, trust was a big issue when it came to deciding on having the procedure or not. Your clinic took away all my fears and concerns. What a miracle! I have worn glasses since 8th grade and this is easily the best I have seen since then. Before I had this surgery, other patient's stories seemed too good to be true, but now I would recommend this to everyone. The staff walked me through each step and I was always given plenty of warning for what would come next. Each person was friendly and helpful, and I felt they were treating me like a person, not just another patient. I am amazed that you can perfect someone's vision so quickly and so painlessly. I am a pharmacist and can even read the NDC numbers at work! I can't say enough great things about my LASIK procedure with Doctor Brumm. The results have been life changing! I used to think I had perfect vision with the correction my contact lenses provided; only after LASIK did I realize how much I was missing out on. Even though my contacts technically gave me 20/20 vision, after my LASIK procedure I gained a whole new sense of awareness. My tennis and golf games instantly improved after my procedure because I finally could establish spatial relationships with the court and the course. My eyes would dry out outdoors - exacerbating my allergies and keeping me from activities I love. I can now spend the day outdoors without discomfort. Plus, my eyes actually feel good now that I'm not poking myself in the eye twice a day putting in or taking out contacts. I am so glad I went through with the procedure! Doctor Brumm and his staff are excellent. I shopped around and did consultations at multiple offices before deciding to go with Brumm Eye and Laser. Doctor The staff is professional and friendly, the doctors are top-notch, and I attribute my lack of complications to their meticulous attention to detail. At other offices I was treated like a number - no one took the time to explain potential complications or what I could do to reduce my risks. They really went the extra mile to ensure the best results. Doctor Brumm's office is the only one I found that has a technician that held my hand through the procedure. Doctor Brumm is fantastic; he does such great work and keeps a human element in a medical office - rare to say the least.. I truly appreciate the tremendous impact they have made in my life. Hello, Over five years ago, I had Lasik at Dr. Brumm’s office. The procedure itself was fast and painless. Dr. Brumm and his staff were helpful and answered all my questions. The next day, I was able to drive myself to Dr. Brumm’s office for my follow up. Within a month, my vision was an amazing 20/15 and is still 20/20 after more than five years. However, the result I did not expect was the positive differences this surgery has made on my life. Prior to having Lasik, I would not participate in many physical activities. With my contact lenses, sports like sand volleyball, water skiing, and swimming were out of the question and the only sports activities I would participate in was the occasional golf game. I am so happy that I made the decision to have this surgery and highly recommend Dr. Brumm and his staff. I can see things at all ranges. Everything is clearer and brighter now since having the cataract surgery. I see things I didn’t see before with my cataracts and I don’t even need glasses anymore. The lens has given me the ability to to have 20/20 vision at the age of 66. It is truly amazing. I feel more confident because I’m not afraid of night time driving and I was able to see clearly right after surgery. Being able to see the world and its beauty is a gift. 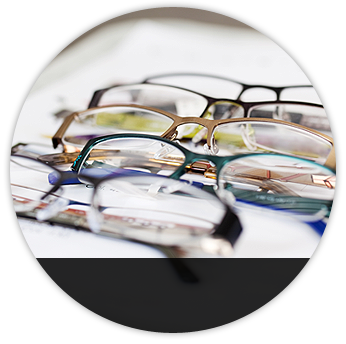 I had the traditional lens in one eye and recently had the multifocal lens in the other eye. I’m very happy with the results of my eyesight. I can see at all distances and I can even read the ticker at the bottom of the television screen without the use of glasses. It’s amazing. I had both eyes repaired by removing my cataracts. Because of astigmatism I had the Toric IOL implanted. Now I have over all 20/30 vision and the eye with the Toric is 20/20 and I no longer need glasses. The surgery went better than I expected and the results were amazing. Dr. Brumm is a master and I would recommend him highly. I’m enjoying my new eyes. After wearing glasses for 65 years, it is a blessing to have the range of sight that I now have after the multifocal lens implant without glasses. There are no blind spots when driving after dark and when passing oncoming traffic. Daylight driving is better because I can read the street signs and license plates now. I can thread a needle which was something I could not do for a long time without reading glasses. Also, I can do fancy work, such as, crocheting, knitting, counted cross-stitch and etc. 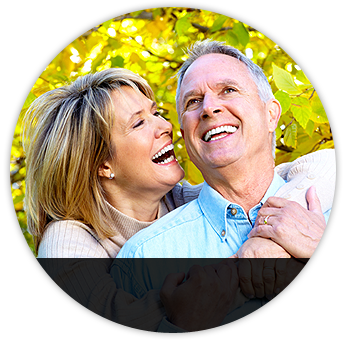 I wasn’t sure when I first heard about the multifocal lens implant for cataract surgery. My concerns were put to rest by Dr. Brumm’s explanation and the fact he had completed many before me, so I did my right eye surgery first, which was the worst eye. It wasn’t 20 minutes after surgery when I could see everything focused close up and how much brighter everything was! Two months later I did the left eye and things just got better! I still use reading glasses for fine print, and now my worst vision problem is trying to find my sunglasses. I must say Dr. Brumm’s staff is one of the best I have ever had the pleasure to be associated with; they are GREAT!! Before I had surgery, I was scared. I didn’t know what to expect. Under Dr. Brumm’s expert care, it was easier than I ever expected it to be. Now, five weeks later, I have thrown away my glasses and feel like I have thirty-year-old eyes. To be able to see again is a miracle and I wouldn’t dream of going to anyone but Dr. Brumm. The afternoon of my second surgery, I resumed all normal activities. Thank you for restoring my eyesight.